It's Ksenija here and this is my final post as a guest designer for Gerda Steiner Designs in October. I was very excited to feature several stamps sets I received from the company. I should confess, I fell in love with Gerda Steiner Designs adorable critters stamps. I was not paid or asked to say this. 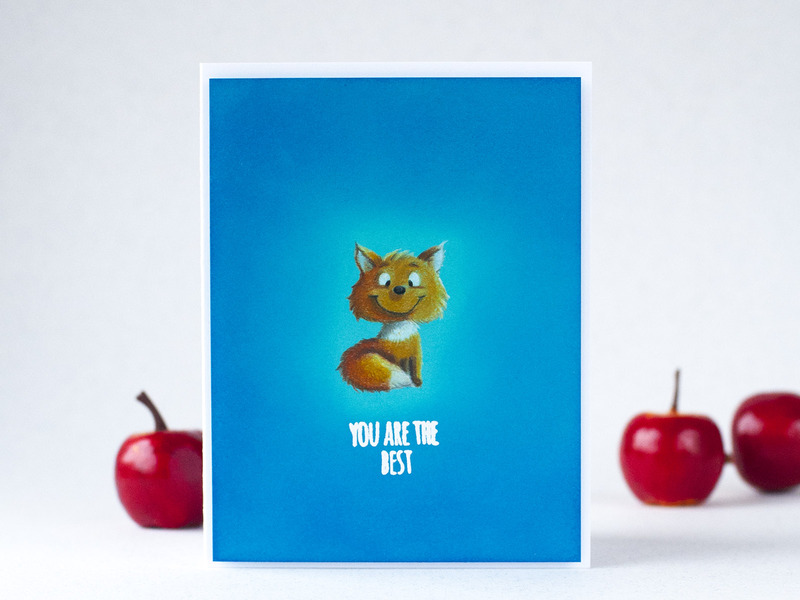 Today I am showcasing the recently released FOXES 4 x 6 Clear Stamp Set. This set is good for year-round friendship cards to encourage, to express gratitude or just to send a note. It contains image of a serious owl, three foxes, a leafy wreath and three accessory stamps. How to use accessory stamps in a new way you can read HERE. Mushrooms, a wreath can be misleading, but do not think only about Fall themed cards. Today I am sharing a Clean and Simple card design suitable for any season. 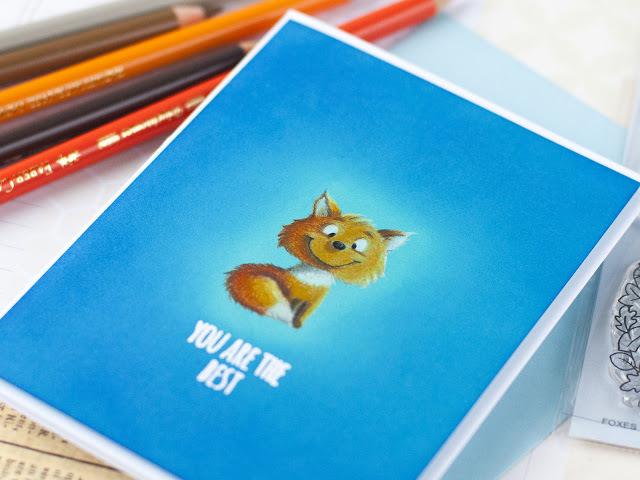 This fox image is perfect for pencils colouring. This is a medium sized outline image without shading or small details. To make this card I started with heat embossing the sentiment You Are The best in fine white powder down onto aqua card stock panel. 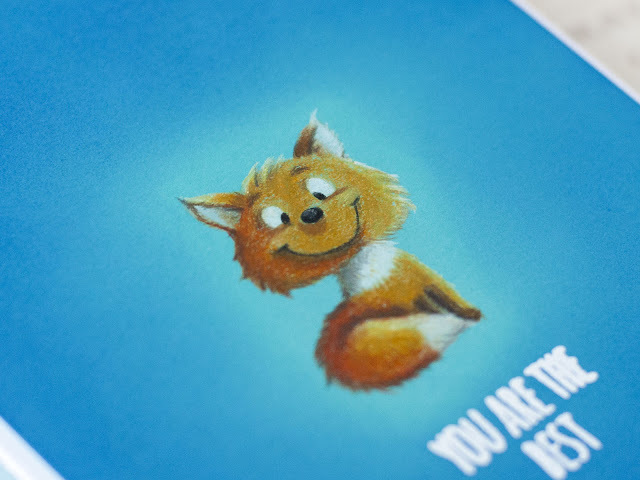 Next I stamped down a sitting fox image in light brown ink and coloured the image with Polychromos pencils. When I was happy with my colouring I blended Blueprint Sketch Distress ink around the fox image. Ink blending has changed the colour of the card panel and also created a spotlight around the focal image. To finish off the card I foam mounted the panel onto a white card note. Thank you for stopping by! I wish you a beautiful day!